Everyone knows the five senses. But what if we told you there’s more? We can’t fully describe it, but you know it when you feel it. We call it the Ultimate Driving Machine. 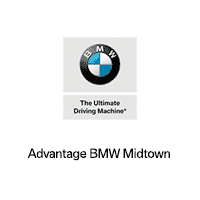 Experience the unexplainable at Advantage BMW Midtown. Test drive the legendary 8 Series and enjoy exceptional offers on the first-ever BMW X2 and the versatile BMW X3.